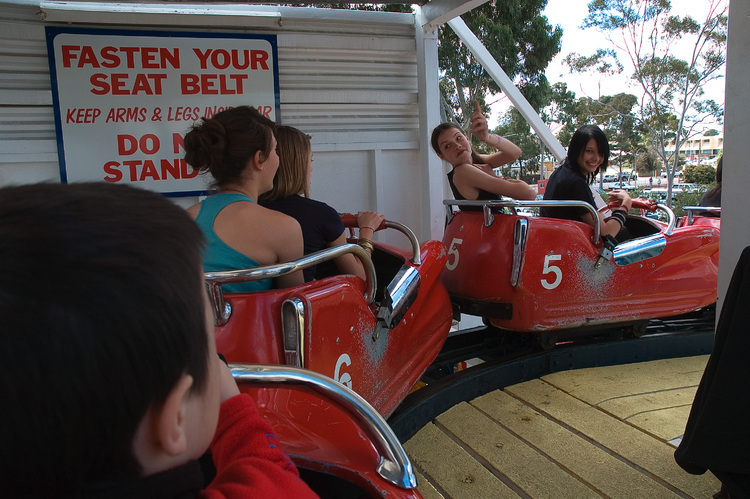 Michael, Theen, and I went to the Royal Adelaide Show today. 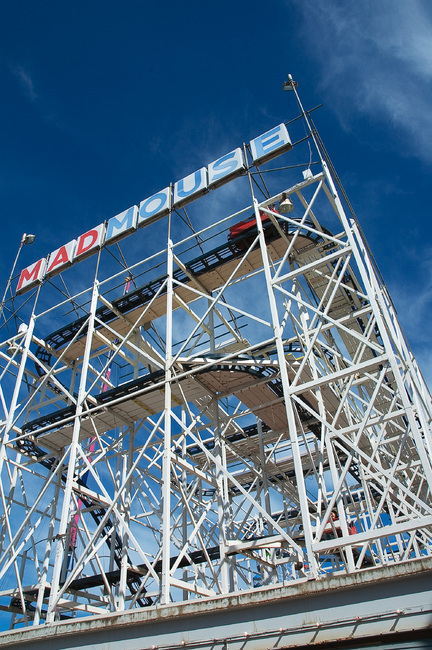 Michael and I went for a ride on the Mad Mouse roller-coaster — Michael's first roller-coaster ride, and only my second one (if you count a small indoors one at Darling Harbour, in Sydney). Spinning around the tight curves, it was hard not to picture the bolts and rollers that were holding us in place on the track! Update: After thinking about this some more, I've figured out why the corners bugged me so much — as well as having a very small radius-of-curvature, they're not cambered. So there's nothing balancing the centrifugal force that's pushing the car out of the curve.